Lori Wiesner is an independently-licensed clinical social worker with over 15 years of experience helping individuals with many different issues, including mood and anxiety disorders, grief and loss, infertility/adoption/parenting, relationships, and struggles with food and weight. She is a graduate of the College of William and Mary and the New York University School of Social Work. 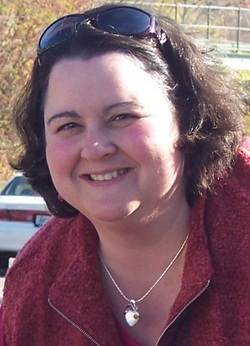 She has practiced in Rhode Island since 1997, and opened her private counseling practice in Lincoln, RI in 2006. She is a member of the Association for Size Diversity and Health, and an advocate for a Health at Every Size® lifestyle. Clients call her "easy to talk to", "warm", and "compassionate". While many practitioners work out of large groups or centers, Lori Wiesner provides an individualized, professional, personal experience in therapy. Her office is peaceful and private, and she, herself, manages all aspects of her practice from intake through discharge. See for yourself the difference of working with a highly-trained professional therapist.